If picking a wine based on the label is wrong, I don't want to be right. This cute flower packaging for Blossom Cava Sparkling Wine was created by PACKLAB in Finland. This winning design for Modern House Wine's 2012 contest was this bottle that told all the truths. Motif's colorful collection of "fine art wines" tell you which wines are best depending on the time of day, including the Bixgrod – suitable for drinking from breakfast to 3:00 pm. 10. This label that lets you say what's really on your mind. Neige Ice Wine is made in Québec from a variety of apples with the same process that's used to make traditional ice wines. R Wine's Boarding Pass Shiraz cleverly puts all the information about the wine in the format of a plane ticket. The cool thing about this bottle is there's not actually a label on it at all. The info is all contained in a little packet tied around the neck of the bottle, along with drawings you'd find in Gray's Anatomy. The design is the work of Pat Mehbrei and the wine is produced by RedHeads Studio in Australia. This award-winning bottle was created by Spanish designer Eduardo del Fraile. 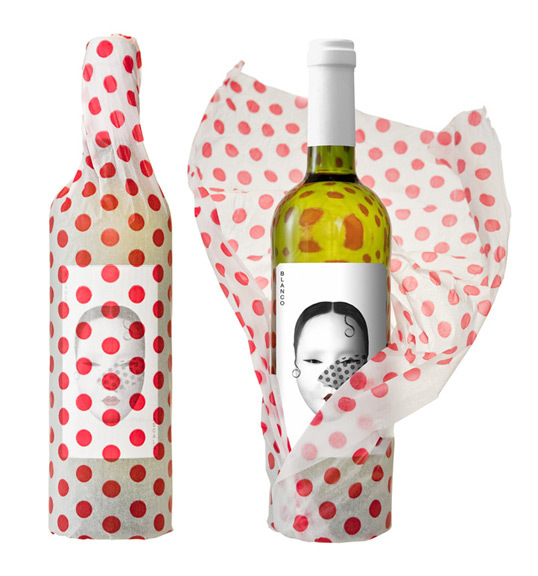 The polka dots and hairstyle of the woman featured on the bottle are more Spanish, while the vertical text and the white face makeup are nods to Asian cultures. Punto y coma means "semicolon" in Spanish, but the design for this label is great, period. The wine is produced in Spain by Castillo de Maluenda and is available in the United States. This concept was created by designer Rob Schellenberg, whose abstract designs are actually lines from topographical maps in Italy's winemaking regions. 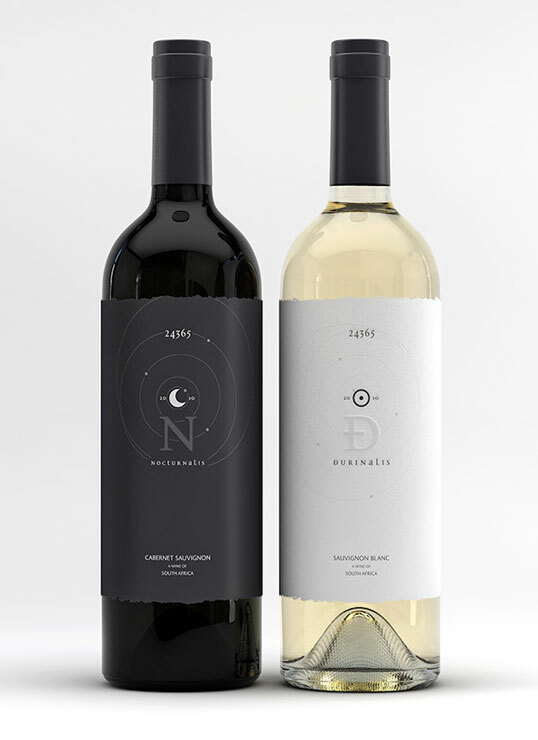 The corresponding numbers on the bottles refer to the approximate lines of latitude. House Wine is available at many supermarkets and wine stores across the country, it's a great value, as well as being beautifully designed. Designer Simon C. Page created this and other kaleidoscopic illustrations that feature on this conceptual packaging for fruit wines. The wines aren't available, but the illustrations are. Download them as free wallpapers from his website. This premium rosé from Domaine Sainte Lucie is, obviously, made in Provence. Lucky for you, it's also imported to the United States. Alpha Box & Dice wines are produced in Australia and are available while supplies last here. There's a variety for each letter of the alphabet, like Fog (F), Imaginarium (I), and Dead Winemakers Society (D).